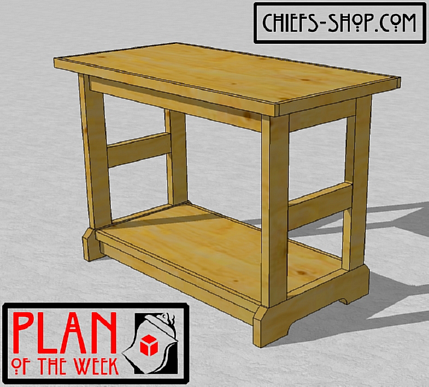 The Chief’s Shop Basic Workbench is a solid all-purpose bench. It’s nothing fancy, but it’ll add some room for your small projects, plus a bit of storage on the bottom shelf. A miter saw, circular saw with a straightedge guide, such as the Kreg Rip-Cut, a jig saw, drill/driver, and Kreg Jig are all you need to build it.